Astell & Kern AK Jr review | What Hi-Fi? 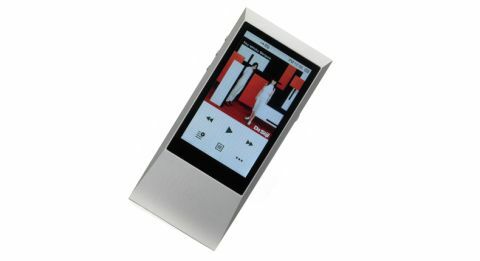 It may not look it a first glance, but by Astell & Kern’s standards this is a startlingly affordable portable high-res music player. After all, this is the company with the £3K AK380 portable DSD music player and the £10K audio player in its armoury. So you’d expect the AK Jr to be somehow compromised, to have a few corners cut, wouldn’t you? We can’t deny the thought occurred to us when the AK Jr arrived in our listening rooms. Mind you, that was before we took it out of its box and heard it do its thing. Nothing about the way the AK Jr looks or feels speaks of cost-cutting. It’s a slim, tactile slice of aluminium that tapers from 8.9mm to 6.9mm in depth and weighs just 93g. The 3.1in touchscreen may not be the last word in brightness or sharpness, but it’s responsive and the user interface is logical. Only the rather pointy corners, which dig into the palm of your hand when you hold the AK Jr, spoil the overall experience. But you’re not likely to hold it in your hand too much, and it certainly won’t ruin the lining of your jacket like Sony’s beefy NW-ZX2 does when you slip it into your pocket. Nor is the AK Jr sold short in terms of specification. Its Wolfson DAC can deal with high-resolution audio up to 24bit/192kHz and the Jr can support a wide range of file formats, including DSD. Its 64GB of internal memory is big enough to store plenty of hi-res files, and you can double that up to 128GB by sliding in a 64GB microSD card. And it’s packing Bluetooth 4.0 support, so streaming to suitable headphones or speakers is firmly on the menu. It is simplicity itself to drag and drop music onto the Jr. Once there it’s accessible through a search by ‘song’, ‘artist’, ‘album’, ‘playlist’ or the seldom-reliable ‘genre’ listings. Plug in (or wirelessly sync) some suitably capable headphones – the Jr’s impressive 1.95V RMS output promises respectable volume levels – and you’re in business. Right from the off, the AK Jr is a full-grown listen. Quincy Jones’ hair-raisingly cool production of Michael Jackson’s Billie Jean on 176.4kHz sounds as fresh as a daisy, with crisply substantial percussion sounds, immaculately timed bass and a wide-open, detail-heavy midrange that communicates absolutely explicitly. Throughout the song – and the rest of the music we listen to for that matter, from Miles Davis’ So What (192kHz) to Lorde’s Royals (48kHz) – dynamics are strong and cohesion is convincing. There’s plenty of breathing space for each element of the tune, even as the Jr confidently knits them all together. It’s a brisk, forceful and poised sound, and it makes the case for high-res audio in unequivocal style. It’s an unfussy machine too, prepared to give a fair crack to even the miserable 256MB files peddled by Apple. A run through an iTunes-sourced file of The Waterboys’ Fisherman’s Blues reveals the Jr’s even-handed approach, the compression of the file noted but not harped on. There’s decent separation to the sound, generous bass weight and plenty of vocal passion exposed in the midrange. The overall presentation is a little on the scruffy side, hazy rather than rigorous as with high-res files, but it’s far from unlistenable. In fact, some particularly radio-friendly productions (Calvin Harris’s Bounce, for example) don’t lose out at all. Throughout, the AK Jr makes good on its promise of substantial volume – none of your volume-limiting Health and Safety nonsense here – and delivers respectable, if not spectacular, battery life. Pointy corners aside, it’s a very difficult machine to find fault with.